Our client is a Multinational bank with a strong presence in Asia Pacific. With massive growth of business in APAC, they are expanding the branches and offices and hence looking for an individual to handle group finance. You will be joining a big team and you are expected to be willing to drive changes, well organized and with experience in leading juniors. - Responsible for entity reporting and control on a monthly basis including month-end closing. - Responsible for end to end Accounts Payables and ensure the payments in compliance with group policies. - Perform regular financial reports to head office and Profit and Loss report. - Preform General Ledger Reconciliation and substantiation. - Participate in cross-divisional projects for business enhancement. - Prepare tax computation, tax accruals and yearly tax return to tax authority. - Work with external auditor for statutory audit and financial statement disclosures. - Bachelor degree holder in accounting and finance or relevant subject is a must. - Minimum of 5 years accounting experience, banking experience is a must. - Proactive, independent and willing to drive changes. - Trilingual in Cantonese, English and Mandarin. 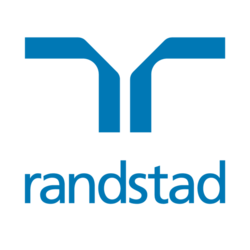 For interested parties, CLICK HERE to apply or send your updated resume to charlotte.cheng@randstad.com.hk or reach Charlotte CHENG at +2232 3463 for a confidential conversation.